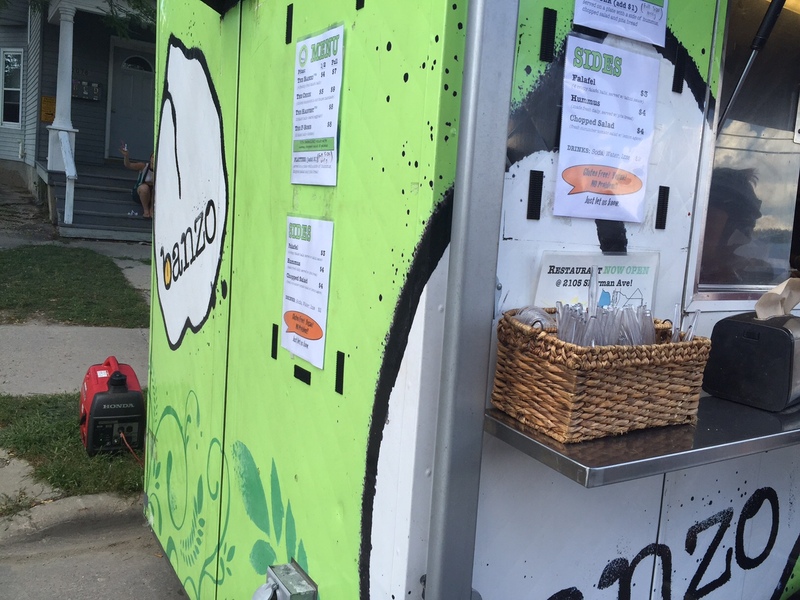 The mark of a great summer day in Madison includes a stop at the food carts on Library Mall. So, on one of my quieter days last week I made a stop at the food carts on the way home from taking pictures around campus. 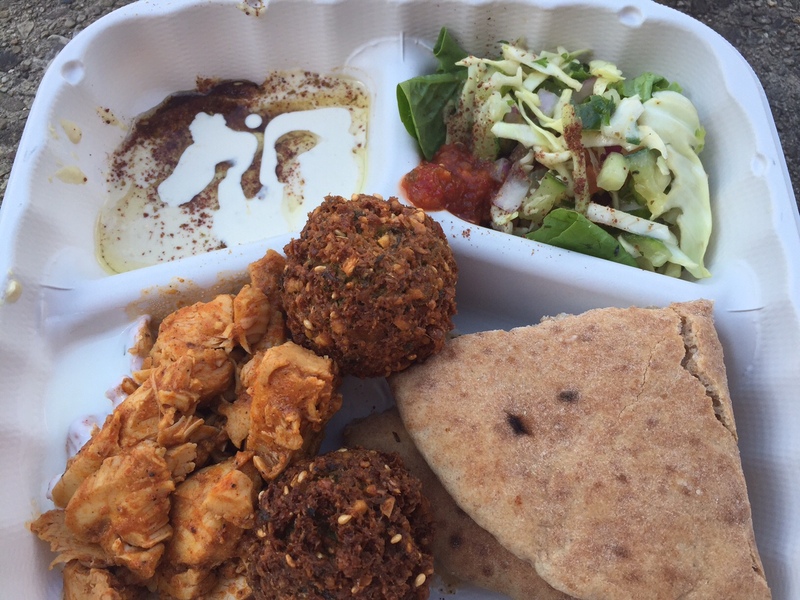 There are a couple new food carts this year so I figured I should probably try something new instead of my traditional stop at the Buraka cart for some amazing Ethiopian Food and I settled on the Electric Earth Cafe food cart. I had never seen their cart before or eaten at the actual restaurant located on W. Wash so I stopped to look at the menu. 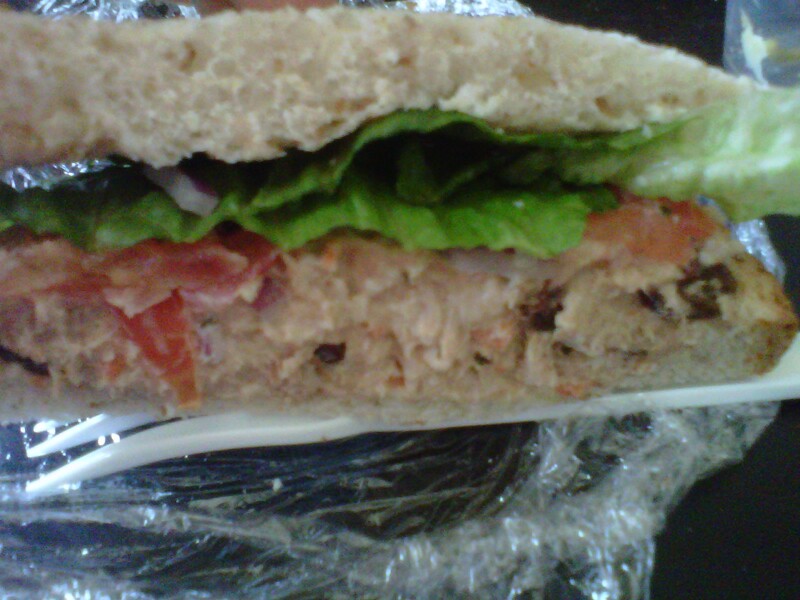 The menu included standard sandwich and salad options at reasonable prices so I decided to try the tuna because I tend to judge a restaurant/food cart on the quality of their tuna salad sandwich or tuna melt. The price was a little over $6 which included the sandwich, a bag of chips and a small cup of noodle salad (which was extremely good and I wish I could buy just a big bowl of that! Ingredients: artichoke hearts, sundried tomatoes and some other tasty ingredients that were so few and far between in the tiny portion that I couldn’t tell what they were!). And the tuna salad, which came on sturdy slices of whole wheat bread (the cart had a couple other bread options as well), was amazingly unconventional. Normally, tuna salad has celery in it and an over abundance of mayo. This tuna was light (I’m not even sure if it had mayo in it) and had shredded carrots and raisins in it! When I first noticed the raisins I was very apprehensive but they were a very interesting flavor and texture addition that I am happy to say I will be returning to the cart for again (hopefully I will be able to get a large container of the noodle salad as well!). I was surprisingly happy with the amount of tomato, onion and crisp lettuce too! Bottom line: this food cart passed the “tuna” test with flying colors by offering amazing sides as a compliment to an tasty, albeit unconventional, sandwich! 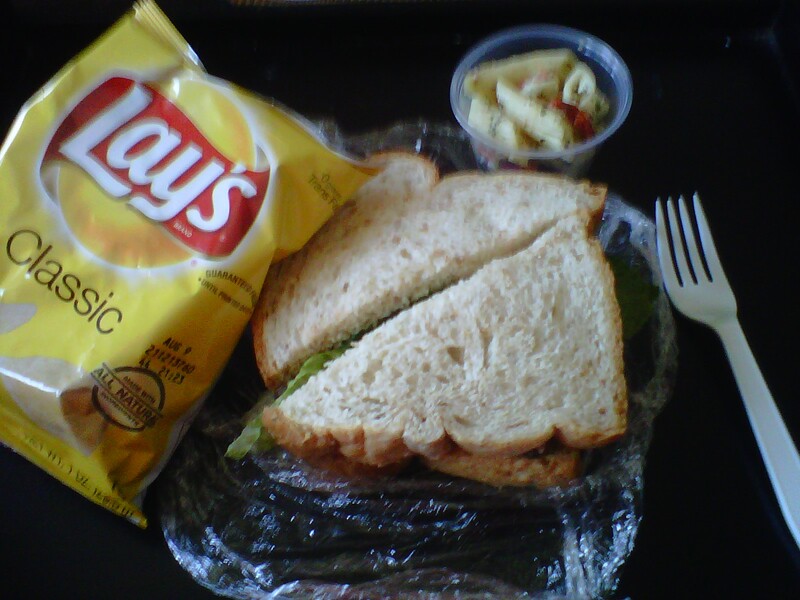 I will return for this sandwich and others while begging for large portions of the noodle salad.